Allow us the opportunity to assist you in meeting your Safety and Compliance Training needs. Our primary geographic areas of service include but are not limited to; New Jersey, Pennsylvania, Delaware, Maryland, and New York. All areas outside the primary are welcome to inquire, travel is always an option. We offer over one hundred twenty (120) different curriculums, seminars, and topics or we can write any site or equipment specific training curriculum or operational plan to meet your needs. We offer CEU’s and/or Tch’s for many of our programs. A US veteran owned and operated business, our Founder and President Harry E. Smith III, Master Sergeant USAF (retired), served 22 years in the U.S. Air Force as a Heavy Equipment Operator, paid Fire Chief. and a Safety Director. Served as a Chief Officer in volunteer Fire Departments and EMS Squads with over 40 years of active service. Other positions held: Fire Commissioner, Emergency Management Coordinator, and Deputy Coordinator. in addition to Chief and Deputy Chief of Emergency Medical Services (EMS). Construction Worker, Factory Worker, Contractor, Ambulance EMT Crew member, Firefighter, Hazmat Technician, and Rescue Technician/Team Member for Confined Space Rescue, Trench Rescue, and High Angle Rope Rescue. We deliver only Regulatory compliant” curriculums and materials. Over 120 different topics. Our Instructors and Consultants frequently attend OSHA, EPA, MSHA, DOT, NSC, AHA, NFPA and other continuation of training or update seminars to stay current the ever-changing regulations, policies, practices, and procedures. For 2018 we developed, updated, and created many new Power Point programs, replaced many DVD’s to keep our presentations and material fresh. A sampling of our offered courses: CPR/AED - First Aid - Bloodborne Pathogens - Fire Safety - Extinguisher - Forklift Operator - Overhead Crane - Right to Know/Haz Com - Personal Protective Equipment - Respiratory Protection - Confined Space - Lock out/Tag out - NSC Defensive Driving Programs with Point Reduction - Incident Command - Emergency Response - Work Zone Safety - Flagger Training - OSHA 10 & 30 Hour General Industry and Construction- 40 hr and 24hr Hazwhoper - 8 hr Refreshers, Supervisor, Operations - Construction Equipment Safety - Customer Service - The Sales Process - Office and Telephone Etiquette - Food Service (Precautions, Preparation, Storage, Regulations), Safe Serve, and many more. Specialized or site-specific course development services are available. 3. All Contractors, Subs, and Employees working in the City of Philidelphia, Maryland, and New York MUST have the OSHA 10hr for workers and OSHA 30hr for Safety, Supervisory, and Superintendent's just to work in the City (legally). or whenever working in Hazmat. 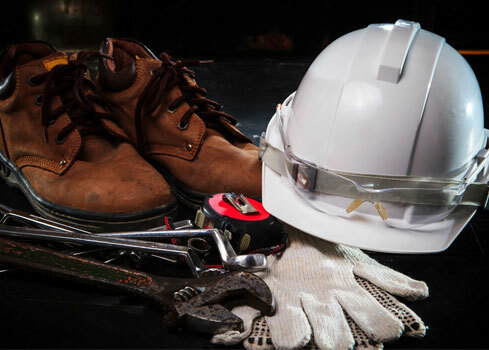 HOT Topic: All training must be documented properly in accordance with OSHA requirements. Great things are happening at CHSS, thanks to all of our loyal customers and many new as well. The CHSS Safety Store offers a limited supply of new and used Products and Equipment, please contact us for a quote. Great prices on Tripods, Winches, Gas Detectors, Harnesses, and other Personal Protective Equipment. We continue offer a host of sampling and testing services, such as Indoor Air Quality (IAQ), Chemical, Mold, Lead, Asbestos, and more. As a special note: Any online training should complement and reinforce your competency and current knowledge levels, it should not totally take the place of the formal interaction with qualified instructors. Some insurance companies, Contractors, and Job Sites do not accept online training, the value is the knowledge, experience, and insight that you will gain from the direct contact of a qualified professional. I also heard several times this year that OSHA will be looking to do away with the OSHA 10 hour and 30 hour online programs in the near future. We believe that online training really does have a place with regard some subjects, for example a Confined Space Entry or Trenching and Shoring (Excavation) online cert is potential a death wish, were as Back Safety or Right to Know may not be. We've added Silica Exposure Prevention, Workplace Violence, Sexual Harassment, Active Shooter, and Live Fire Extinguisher training. The goal should be “to go home everyday with everything we came to work with, no missing parts or skin”.